Quick Pumpkin Spice Rice Pudding is a creamy pudding recipe with a pumpkin pie spice flavors along with cranberries and almonds. 20 minutes, goto dessert for delightful moments to be enjoyed with family and friends this holidays. Winter is finally here and we are so loving the slight nip in the air, cozy sweaters and winter food delight. I mean I’m one super with this flavor and like it in most of my winter food, especially coffee. My winter mornings start with a fresh, crisp cup of coffee flavored with pumpkin pie spice which supercharges me to proceed with rest of the day. So, after piling my cart with pumpkin pie spice flavor in quart size and also bought a new ‘peppermint mocha‘ flavor to try. I also brought single serve creamer in pumpkin pie spice. Once home, I quickly stocked everything in the kitchen cabinets and just like an excited child with a new candy, I made ourself fresh coffee with the new creamers. 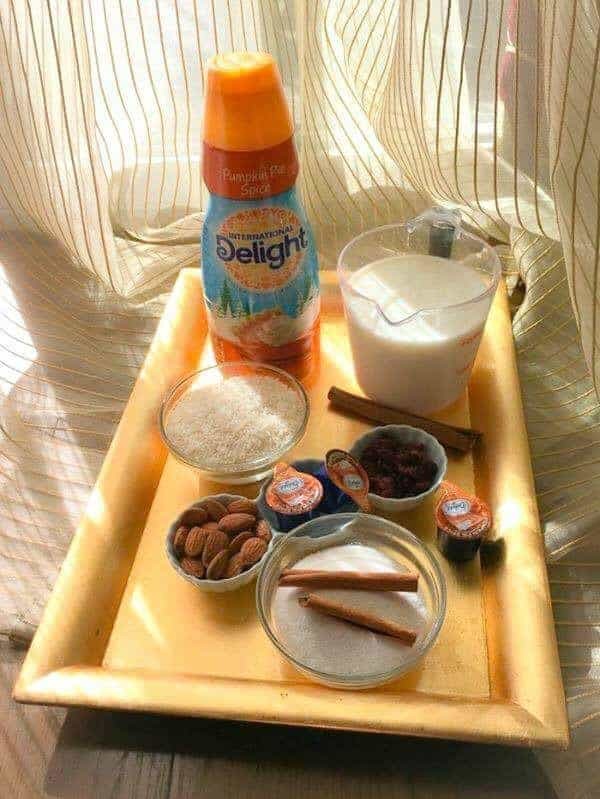 And as we were talking about a coming holiday party, an idea struck that why not use the pumpkin pie spice creamer for a Pumpkin Spice Rice Pudding. It fits in perfectly with our party theme and we had all the other needed ingredients…..Bingo!! Who doesn’t like a rich, creamy rice pudding and I’m going to enhance the flavors further by adding pumpkin spice, cranberries, and almonds. 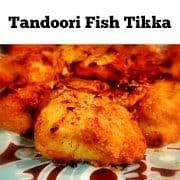 The recipe is very simple and made on the stovetop in under 20 minutes (serving 4 people). If you have pre-cooked rice, it even simplifies it further and saves you time. What’s best about this Pumpkin Spice Rice Pudding recipe is that it tastes even more delicious if you make it a night before and keep it in the fridge. 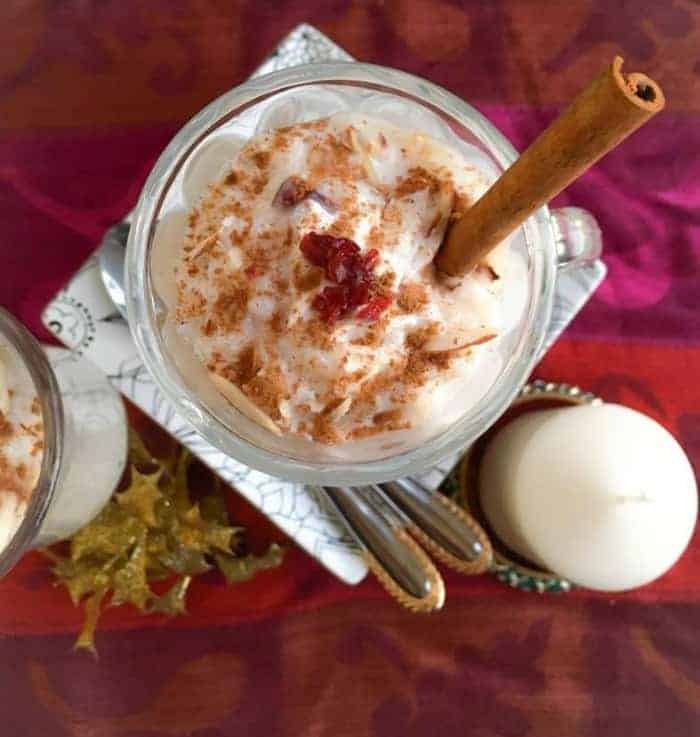 And when you make it, the kitchen smells oh so yummm…reminds me of childhood days when Mom used to make her special Rice Pudding laden with dry fruits. You can serve it hot or cold depending on your choice but I like to eat it cold with some fresh whipped cream, sprinkled cranberries, almonds on top and dash of cinnamon powder. It tastes like Heaven! I have not added any extra pumpkin pie spice powder/seasoning as the creamer has just the right taste for us but if you want, feel free to add some more seasoning. Next time, you visit Walmart, make sure to check the International Delight Creamers (quart size) in the refrigerator. 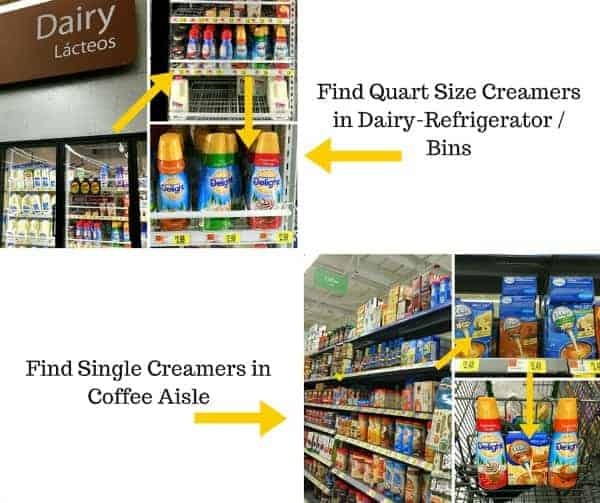 Or large refrigerated display bin section where they keep all the dairy items and the single serve creamers can be found in the coffee aisle. Do stop by International Delight page and take a look at The Spirit of the Season UGC contest which gives you a chance to Win $5000. 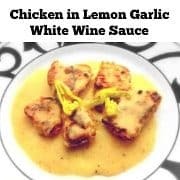 You can find more delicious recipes here and I would LOVE to hear about your favorite holiday recipes. Pumpkin Spice Rice Pudding is a creamy pudding recipe with a pumpkin pie spice flavors along with cranberries and almonds. Remove from stove, strain the rice. Boil milk along with cinnamon sticks, almonds and cranberries. Add cooked rice, pumpkin pie spice creamer and reduce the heat to minimum. Let cook for 3 minutes (Stir every minute). (You may add condense milk at this time and cook for another minute). If you want to eat it hot, then sprinkle with some chopped nuts and serve immediately. For serving cold : transfer into bowls, add done whipped cream, sprinkle with almond and cranberries. Dunk Some cinnamon sticks, sprinkle some cinnamon powder and Serve chilled. 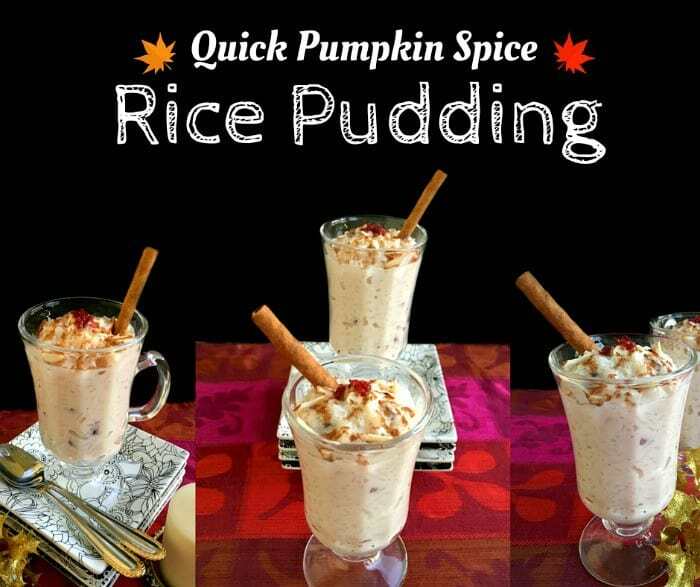 34 Replies to "Quick Pumpkin Spice Rice Pudding - #pumpkinspice"
What a delicious way to make rice pudding!! And creamers have so many flavors — you can make almost anything. Thank you for the inspiration! I love it! 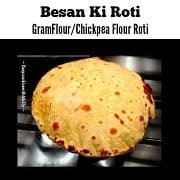 You’ve added such a unique flavour to kheer 🙂 I’m sure that tasted amazing. I love rice pudding and you’ve made these look so delightful, it’s even more tempting than usual. I’m so happy you liked it – Thanks for visiting Choclette. 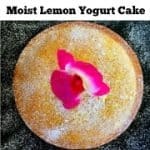 What a yummy sounding dessert. 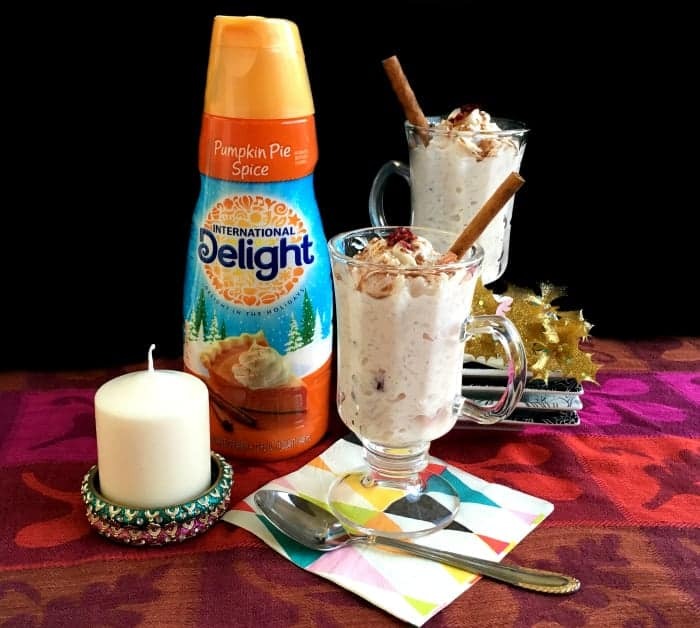 Looks so creamy with all of those fabulous pumpkin spice flavors! Such a clever idea!! 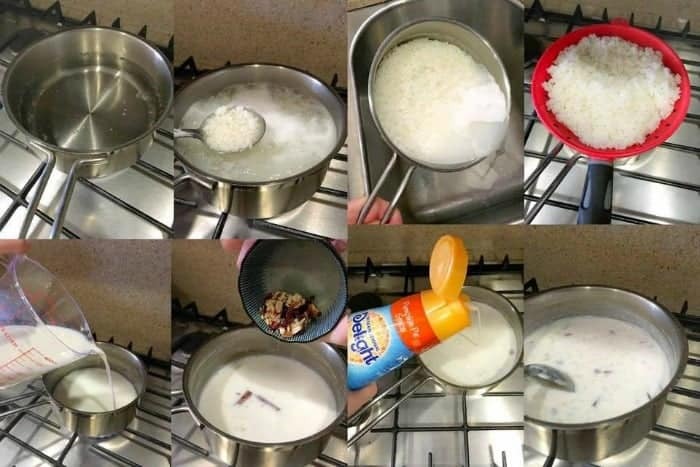 To make Rice pudding with creamer! 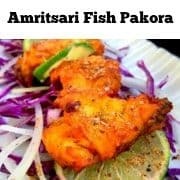 😀 It looks so yummy! I’ve seen the pumpkin spice creamer, and I have no idea why it’s not in m fridge! I have to get a bottle now. Isn’t it – I just love using creamer for such almost instant dessert 🙂 Thanks for visiting Dini – Hugs. 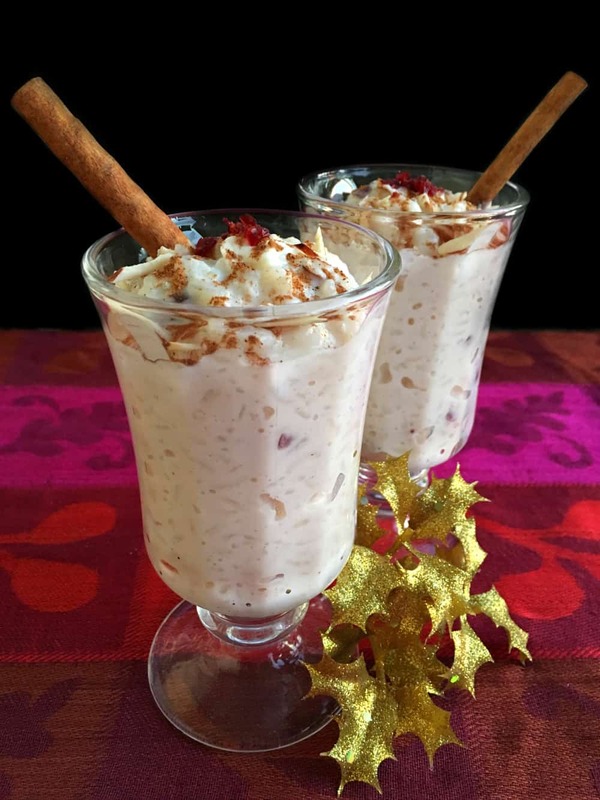 ths is such a nice twist to regular rice pudding..love the presentation too! I need to give this a try!!! looks so good !!! 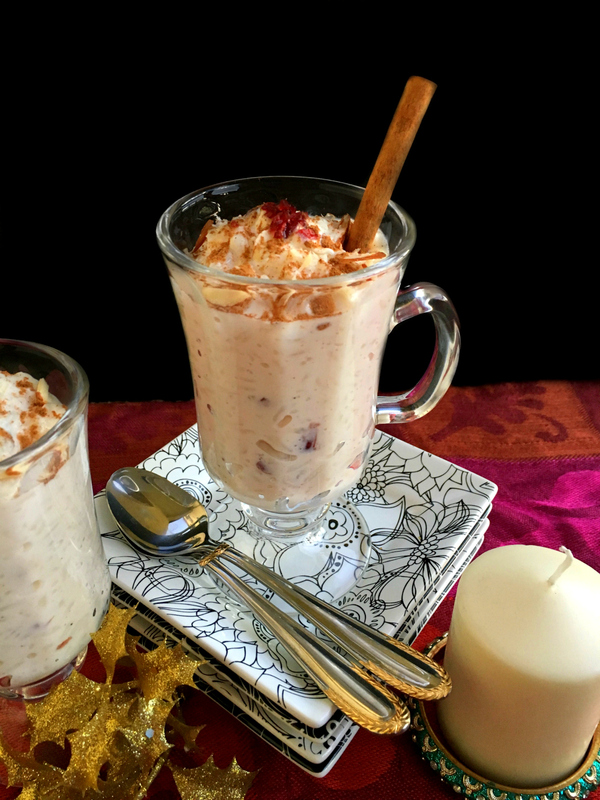 The only rice pudding I usually eat is Kheer but this looks so inviting with almonds and cranberries and warm spices. Thanks for sharing. Thanks Razena. Kheer is definitely what we usually eat too but give these flavored ones a try, they tastes equally delicious. Thanks Nazima, Glad you liked it. You had me at pumpkin pie and pudding! This pudding sounds amazing right now! Yum! This rice pudding sounds so delicious! I remember eating something similar when I was a kid! Love it! I love rice pudding! This looks delicious, and so seasonal. Yum. I love rice pudding! This is such an innovative way to make rice pudding and so easily on the stove top, what a great idea, looks so yummy! I love rice pudding and I can never get enough pumpkin….so this is a winner idea for me! !